The Miami County Community Foundation (MCCF) has offered $10,000 in matching dollars for gifts made to the Harvesting Capabilities Park project. Harvesting Capabilities is working to build “a park for all,” which will be accessible to children with or without disabilities. The all-inclusive park will be adjacent to Miami’s Fort on the River Walk in Peru. 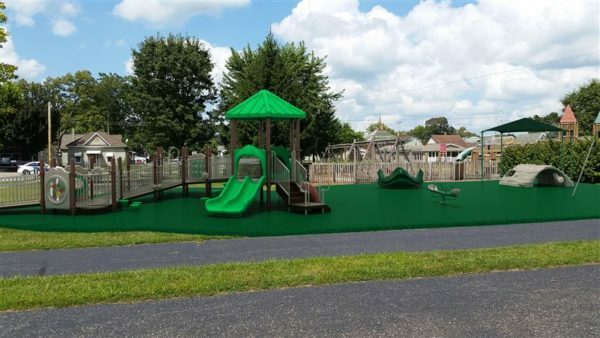 The Harvesting Capabilities Playground Committee has set a goal of July 4, 2019 for the completion of the project. The park will be strategically built to be inclusive to those who are confined to a wheelchair and those with physical, sensory, vision, hearing, and autistic challenges. The park will be beneficial for the health, development, growth of social skills, and self-confidence of park-goers. Details about the plan for the park can be found at harvestingcapabilities.org/all-inclusive-playground. The MCCF is helping Harvesting Capabilities start off their fundraising campaign by matching all gifts to the project $1 for $1, totaling up to $10,000. You can give a gift to the project to be matched at https://harvestingcapabilities.org. Simply click “Donate Now,” and in the note section, indicate that you’d like your gift to support the HC (Harvesting Capabilities) Park. You can also send a check to Harvesting Capabilities, Inc., 231 N Grant St., Peru, Indiana 46970. Note “HC Park” in the memo. You can also click “All-Inclusive Playground” on their website to learn more about the project and purchase a brick for the playground. All proceeds from the Harvesting Capabilities annual Chili Cook-Off on October 6 will also support the project. Questions? Contact Harvesting Capabilities Executive Director Carol Biddle at 765-472-1902.